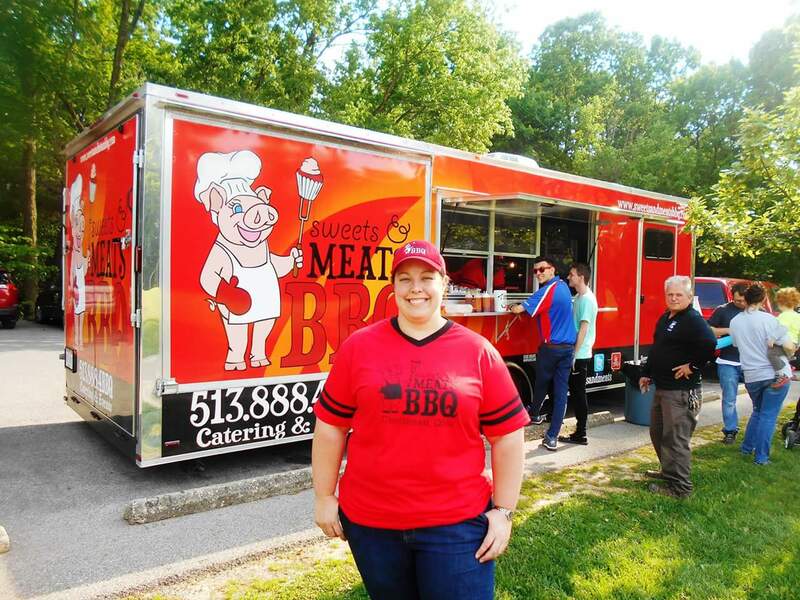 Sweets & Meats BBQ is a full service caterer and food truck specializing in smoked meats, homemade sides and dessert. 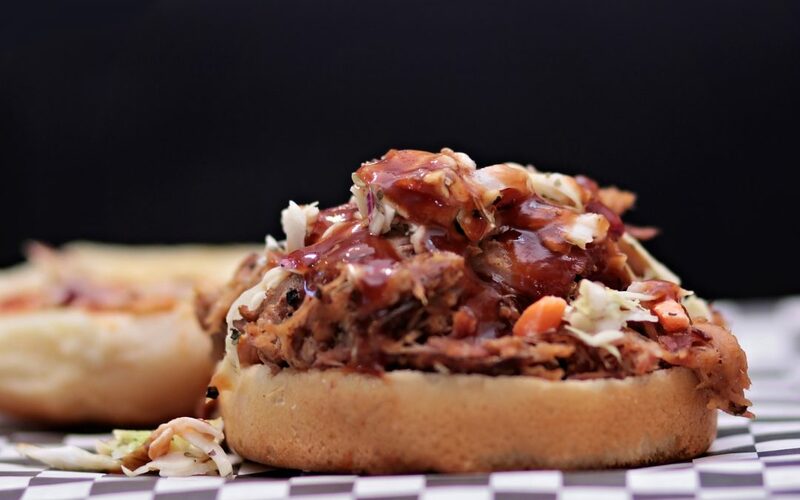 BBQ has always been a passion for us and we started by entertaining friends and family in our home for several years before taking a leap of faith and launching as a roadside BBQ pit stop in the heart of Mt, Washington in 2014. We started small and bootstrapped for a long time, setting up in the parking lot of the Mt, Washington Creamy Whip on weekends and later the Patriot Center of Cincinnati, where we rented the commercial kitchen. In the summer of 2015 we participated in our first of many few truck rallies at Kings Island and it was at that point, we realized how much of an impact a mobile kitchen would have on the growth of our business versus our tent set up and caravan that followed. Upon graduating from MORTAR in December 2015, we made a leap of faith and custom built a BBQ trailer. Our first full year with the food truck was in 2016 and in June 2017 we will be opening a carry out restaurant in our own neighborhood, Mt. Washington, where I have been a resident 36 years. From very humble beginnings, we have always been about building and giving back to our community. After all, we passed our flyers with Halloween candy in 2014 to market our first day at the Creamy Whip. The support from our neighbors is what enabled us to grow and expand. It was extremely important for us to find a permanent home in Mt. Washington. It’s home and we wanted to invest in our community. We are hiring from within our neighborhood, we are coaching our culinary interns from Cincinnati Job Corps and we have invested our own money to bring something original to the area. There are several fast food options around, but no place to get a home cooked meal. Everything we do is from scratch. Our new location is right in front of Stanbery Park and we believe we have a terrific opportunity to encourage families to pick up dinner and eat and play in the park. We are very active and involved in our community and truly feel that we can help to restore the central business district to what it was when I was coming up. A lot has changed, but there is a lot of development taking place, organizations who want to help, and people like us who truly want to see the area thrive. As an entrepreneur, I feel an obligation to give back and to build where I live. We chose Mt, Washington. We hope the neighborhood will reciprocate and we can continue building community together. BBQ brings people together. Financing – it is so hard to secure funding as a start up restaurant. We’ve had to bootstrap, self fund and fundraise. Since our first day of sales, we’ve reinvested everything back into our business. I have never taken a salary. We will be at Taste of Cincinnati for the first time this weekend (Sat & Sun 11a-11p, Mon 11a-9p) downtown at the end of 5th street near Columbia Parkway in Food Truck Alley. We are truck #710 and will be positioned at the end near the stage. We will also be participating in several other events, including the CFTA Food Fest at Summit Park in Blue Ash on Friday 6/16 from 11a-10p, The Porkopolis Pig & Whiskey Festival on July 21st, Union Centre Food Truck Rally on August 11th and more! !